The outgoing Champions have just two away meetings left to avoid the wooden spoon following a totally contrasting campaign for the Tigers. 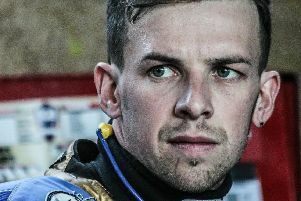 Riders and club bosses alike have come in for plenty of criticism on social media in particular and Howarth says supporters are entitled to have their say. But he has also jumped to the defence of the Bates family, who are a key part of the club’s promotion team, and feels some of the comments aimed at them in particular have been unfair. “We all know what social media can be like and it’s easy for people to go on there and type these comments,” Howarth said. “And while I don’t necessarily agree with some of the things that have been said, at the end of the day, if they’re supporters who are paying their money to come and watch us week in week out then they’re entitled to put their opinions across. “I can understand some of the criticism about us as riders because we can’t paper over the fact that we haven’t delivered the goods for them this year. “But it definitely hasn’t been through a lack of effort and I’m hoping the supporters who’ve watched us regularly this year can see that. “I think some of the things said about the Bates family have been a little bit harsh as well though. “They’ve done great for Sheffield since they came in; they’ve won some form of trophy almost every season and apart from this year, we’ve always been there-or-thereabouts in the league. 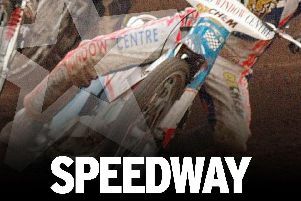 Howarth and team-mate Charles Wright are the two Sheffield representatives in the prestigious Championship Riders’ Individual event at Owlerton this Sunday (September 2, 5pm).